Hi all! 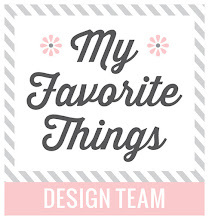 I'm back with a card for My Favorite Things February Release Countdown Day 2. 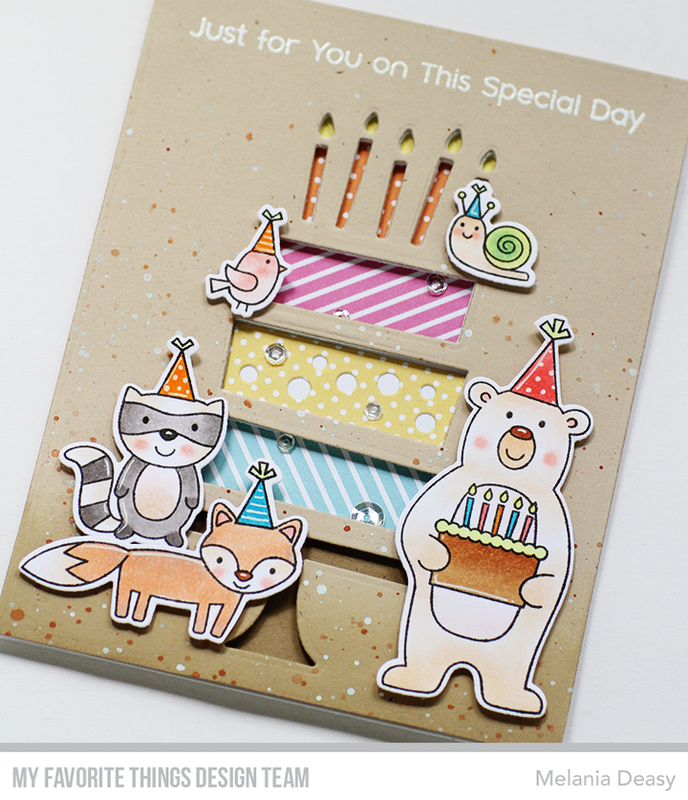 I play with cute stamp set called Birthday Bear & Friends to make a fun Birthday card! I stamp then color the images using copic. The sentiment is from white embossing powder. I add some clear sequins for the embellishment. Your cards are always wonderful Melania. Love the inlaid design and the sweet animals on the front. I like the splatters on the front, adds so much. Thanks for sharing. 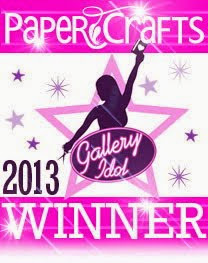 Love the cake cutout, cute card! que c'est original et adorable, encore une carte qui va réjouir un enfant! I love the cake!! Such a cute card!! The beautiful, colorful cake sets the scene for the party! 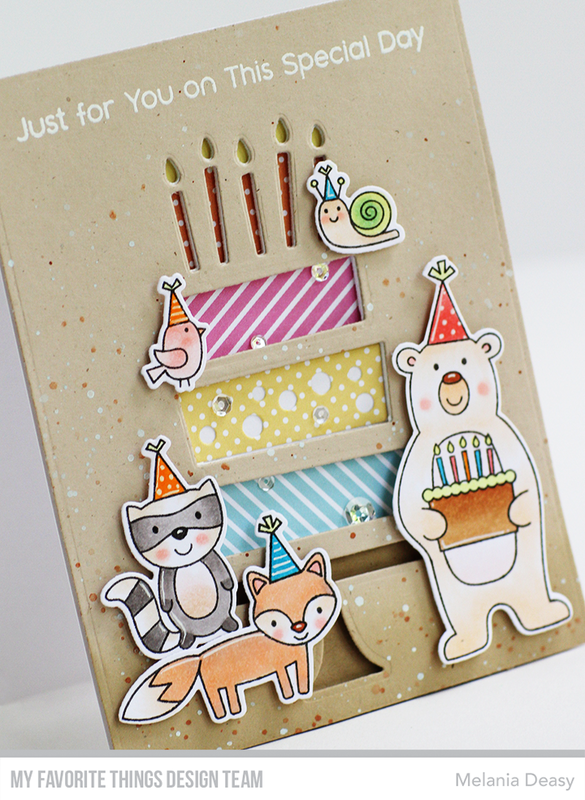 Love the way you used the animals with the cake diecut. Nice card!